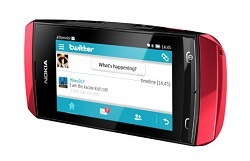 Nokia has introduced a wide range of Asha recently with Nokia Asha, 305, 311, etc. here the features and specifications of Nokia 306 are given as there is some differences found in each of Asha’s series. The Asha series is aimed at the purchasers from the developing countries like in Asia such as India; however, Nokia has started its sale in the western world with UK. The purpose is to persuade the people away from the Google Android phone sets. Although the Asha 306 isnt an expensive model of Nokia, but it’s still to be decided that whether the phone’s performance and functionality is justifying the modest amount even. The Nokia Asha 306 has a candy shaped body, plastic and shiny (sleek) material and small in size. There is a 3 inch touchscreen as a display size. The display resolution is 240x400 pixels which is quite low. The touch is not as effective as it should be with lacking crispiness and instant receptivity. The battery life lasts for long as you get 400 hours on standby and there is a talk time of 14 hours. You will find four main keys on the handset. There is a 3.5mm headphone jack and the micro USB port is there on top to transfer files etc. there is a microSD card slot at the left side. The charger port is also found at the top and the backplate can be detached for having the 1,110mAh battery. The Nokia's Series 40 operating system is operated in Nokia Asha 306 which is an older and previous OS. This sometimes led to the annoying frequency and interruption of the error messages in the Asha 306. There are pre installed apps on the phone such as Nokia’s Social app, Nokia maps app and twitter app etc for taking updates from numerous social networks. Some games such as Angry Birds is also preloaded. More apps can also be downloaded from the Nokia’s Ovi store. The Nokia Asha 306 has only a 2G radio which does not provide a faster web browsing incase of trying without Wi-Fi. There is an average performance rate of Nokia Asha 306. There is no specification given by Nokia on the size processor within Asha 306, but as in Asha 311, it’s not 1GHz certainly. The speed and performance is considerably weaker than that of the Asha 311 of Nokia. As far as multimedia functioning is concerned, there is a camera of 2 mega pixel without flash. As the whole software is sluggish in performance, the camera interface cannot be expected to do the operations at faster rate. The camera result is average and the video recording quality is fine for uploading clips. The sound quality and speakers work surprisingly well. Keeping in view the specifications, the average performance of the Nokia Asha 306 is seen, so the entertainment lover cannot enjoy the functioning of the Nokia phones with full zeal and its prize might be lesser. Though, as an average performer it might be purchased. I am John S Lam from Test4Prep; it gives 100% Citrix 1Y0-A18 exams. Let’s take benefit of EMC E20-598 Exams material efficiently and get guaranteed success. Check out free demo of all certifications Exam.